Resident, common throughout Africa. Flies in summer months. Wingspan 18-26 mm. 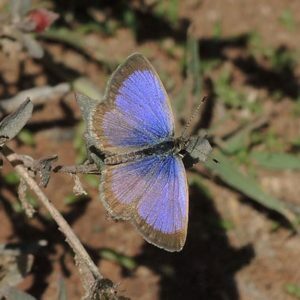 Female darker than male, with less blue. Flies throughout the day. Fluttering flight low across lawns and short grass. Never far from one of its foodplants.